While March 20 marked the official start of spring, Whole Foods is ringing in the season on April 4 with a massive sale on our favorite warm-weather drink: rosé. The pink wine has become synonymous with spring thanks to its fruity, floral palate, so it's only fitting that Whole Foods is rolling out a two-month-long sale on the blush-colored wine. A large selection of rosé will be on sale from April 4 to May 29, giving you plenty of time to stock up on the drink and enjoy all the way through the summer months. The rosé selection has been handpicked by master sommelier Devon Broglie, who believes you can tell a lot about rosé by its color. "Lighter-colored rosé often indicates a more delicate and silky texture with floral, dried-fruit notes; hot pink means deeper, dense flavors, often with bright tart cherry notes," he explains. Who knew there were so many subtleties to the trendy beverage? Among the options, you'll find wines from the far reaches of Portugal, Argentina, and Greece, as well as the party-favorite Forty Ounce rosé, which quite literally comes in a one-liter bottle. 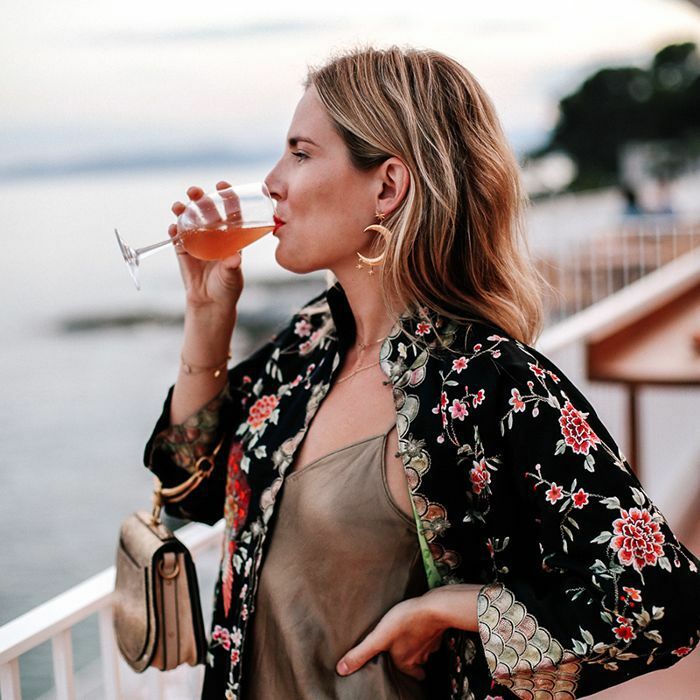 Take a look at the full list of rosés on sale below, and head to the Whole Foods blog to read up on Broglie's personal descriptions of each so you can make an informed decision before stocking up.